Every day, volunteers play an integral role in strengthening communities and making a difference in the lives of others. 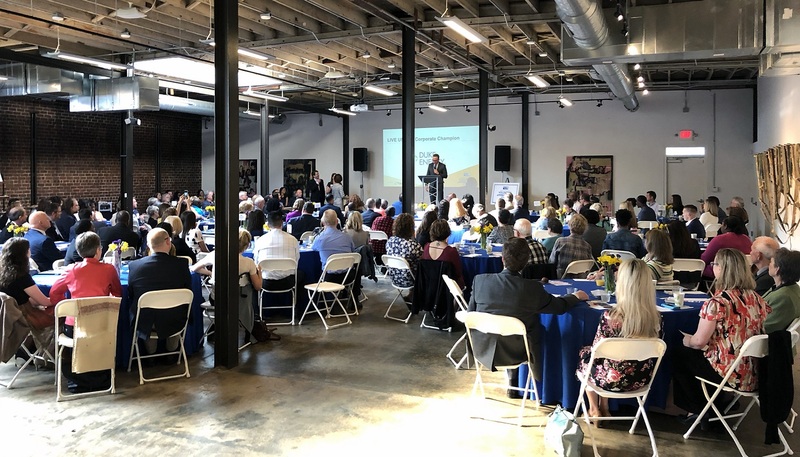 United Way of Central Carolinas celebrated the good work of local volunteers in the community during the United Way Volunteer Appreciation Breakfast, presented by TIAA, on Wednesday, April 10, at LaCa Projects in Charlotte. 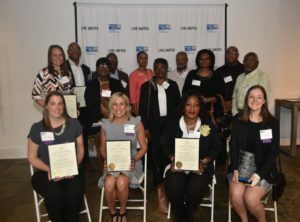 More than 35 individuals and groups were recognized for their efforts that have touched the lives of children and families across the Charlotte region. 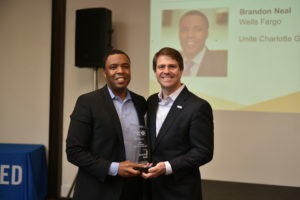 In addition to honoring those who donate their time and talent through United Way’s programming, the annual Governor’s Volunteer Services Awards were presented at the event, including two Medallion Award winners. Volunteers play a significant role in United Way’s work. More than 15,600 volunteers served a total of 55,802 hours through United Way last year, including 536 of which served on boards, committees, cabinets and councils. Those volunteers in total generated an impact of $1,377,751 in the community. Humbled by his recognition, Neal shared a story about living and working in New York City before choosing to return with his family to his hometown of Charlotte. Following the civic unrest in the city in late 2016, Neal became re-energized through United Way in encouraging his neighbors to live united. Michelle Abbott, director of sustainability at Duke Energy, echoed the gratitude shared by awardees and said the company was honored to be recognized for powering the lives of customers and the vitality of communities for more than a century. 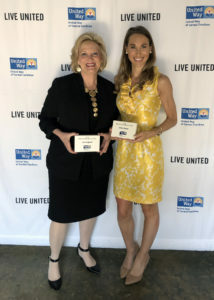 “As I look back and as I look forward, I know that the one constant that we can always count on is our employees and the passion they have for supporting the community and United Way,” she said. The Governor’s Volunteer Service Award annually honors the spirit of volunteerism by recognizing individuals, groups and businesses that make a significant contribution through volunteer service. Each winner has been commended for their selfless service in improving the conditions within our community. 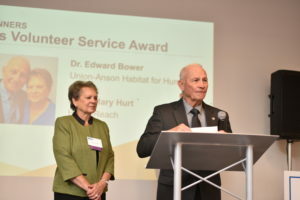 In addition, two winners received the Governor’s Medallion Award for Volunteer Service, which recognizes the top 25 volunteers throughout North Carolina each year. A statewide panel reviews and evaluates nominations to determine the award recipients. 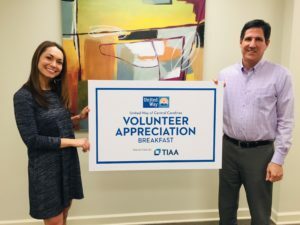 The appreciation breakfast is part of United Way Volunteer Week, presented to the community by Wells Fargo and in conjunction with National Volunteer Week. The week‐long celebration of service includes the annual Charlotte Playground Build (April 5), the #Time4Good Volunteer Fair (April 10) and the annual Hands On Charlotte Day (April 13). See photos of all United Way Volunteer Appreciation Breakfast honorees here.